As far as I can tell these have never been used. Still wrapped. Please look at photos carefully and ask any questions before bidding. I am no expert on old car wiring but if you need more photos or info please ask. 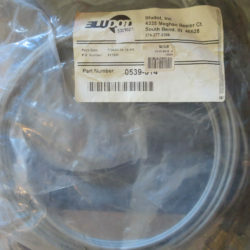 I will not accept returns on this because if you install it and return it it will not be new anymore. Thanks for understanding. Again, ask if you have any questions. 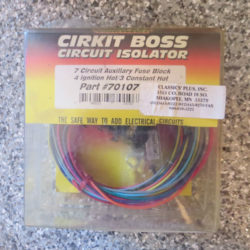 Cirkit Boss circuit isolator, shipping not included Contact at vette0067@yahoo.com – please indicate the website and part details.